Understanding the ways milks differ may lead the scientists to a better milk formula to nourish human babies who can’t be breastfed by their mothers, according to Agricultural Magazine. This is especially important for premature infants who may not have the digestive systems necessary to break down foods into what they need for life. The good news about milk is that there is more similarity than difference between species, which is important and comforting to know. This is because human feeding formulas are routinely tested in animals. Nutritionists Teresa A. Davis and Peter J. Reeds of the Agricultural Research Service, US Department of Agriculture, have been studying the milks of various mammal species to find how the nutrients they contain contribute their young. The results could be misleading if human milk differs dramatically from that of the other mammals. 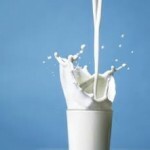 Most comparisons had been between human and cow’s milk which is what most infants get after weaning. Davis and Reeds found that amino acids, the building blocks of protein, are the same in breast milk throughout the animal kingdom. However, the concentrations of these amino acids can vary almost ten fold among species. Three amino acids: glutamate, leucine and proline make up 40 percent of the total amino acids in all animal’s milk. The commonality gives researchers more confidence in their animal tested formulas. While humans and primates such as chimps and apes have very similar milk components. Human milk has the highest cystine content, withe great apes coming in second. Cystine is believed to play more of a role in body maintenance than in growth. Researchers now speculate that high cystine levels might relate to brain and eye development. That’s because cystine is used to make another compound called taurine, which is highly concentrated in both the brain and eyes. Davis and Reeds reasoned that the high cystine levels reflected the fact that human and ape babies take longer to mature than their primate relatives. In fact, the closer any two animal species are on the evolutionary tree, the more likely their milks are to be similar. It has been noted that cystine levels were higher, the further up the primates were on the evolutionary tree.